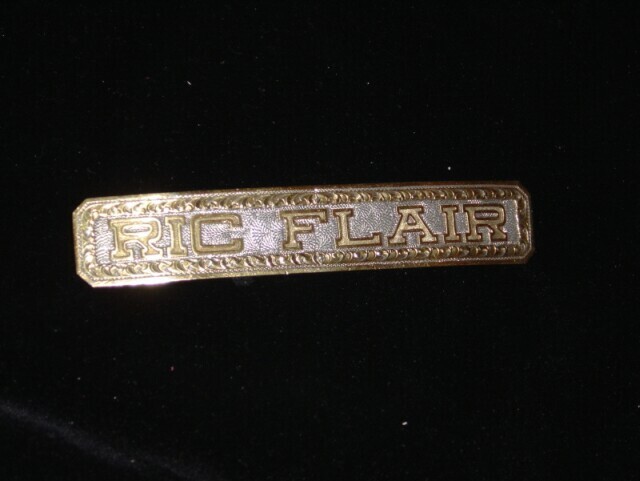 This is the original "Ric Flair" name plate that went on the big gold. 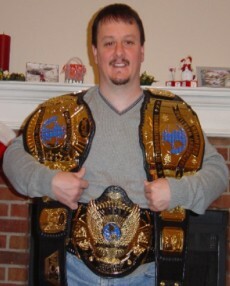 It was a Christmas gift from Bruce Owens to Dave Millican last year. 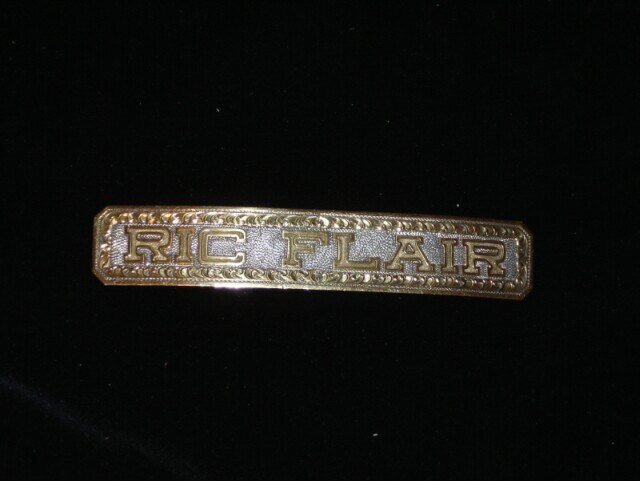 The first plate made for the belt had his name spelled "Rick", so it was done away with & this is the actual plate that he had on the belt up through the time he took it to the WWF with him. 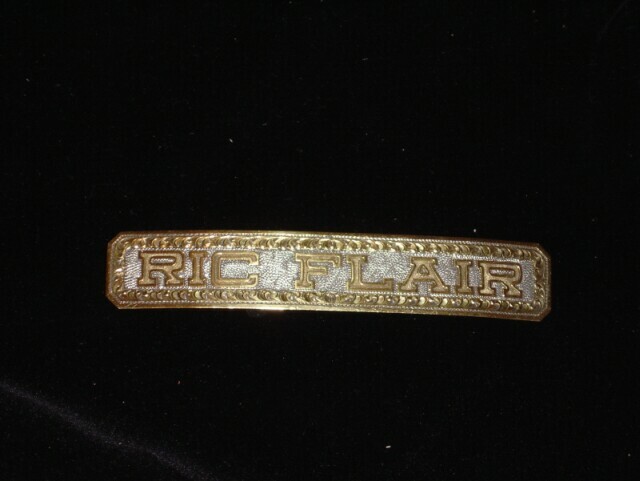 When WCW bought the belt back, Ric didn't take the plate off & Bill Watts removed it & kept it for years. Bruce got it from Bill & gave it to Dave.